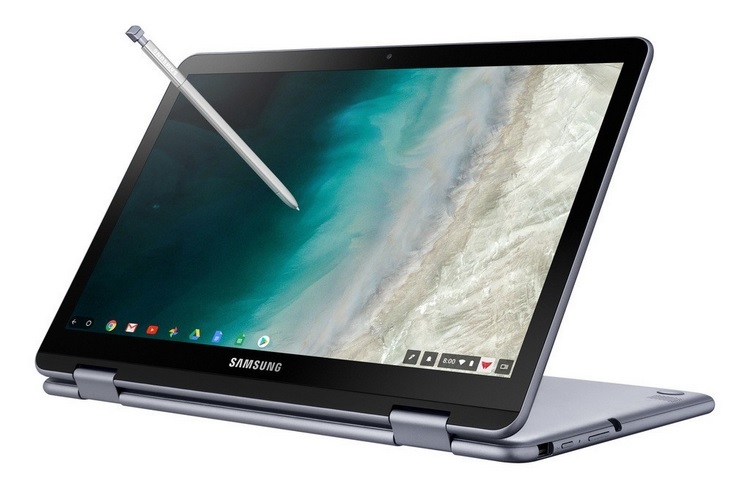 Samsung has announced an upgraded Samsung Chromebook Plus (V2), which uses an Intel CPU instead of the ARM-based processor in the last-gen Plus mode. The overall design and build is quite similar to the predecessor, which means you get a sleek metallic body made out of Aluminum alloy, a 360-rotatable design and stylus support. However, the updated version comes with a spill-resistant keyboard with curved keycaps for an improved typing experience and also adds some new features to the stylus. It also features a high-resolution camera on the keyboard deck which becomes a rear camera when it tent or tablet mode. As for the hardware under the hood, the Samsung Chromebook Plus (V2) comes equipped with a faster Intel Celeron (3965Y) processor clocked at 1.5Ghz, paired with an Intel HD 615 graphics unit. The 2-in-1 Chrome OS device has 4GB of RAM and a paltry 32GB of internal storage which can be expanded up to 400GB via a microSD card. 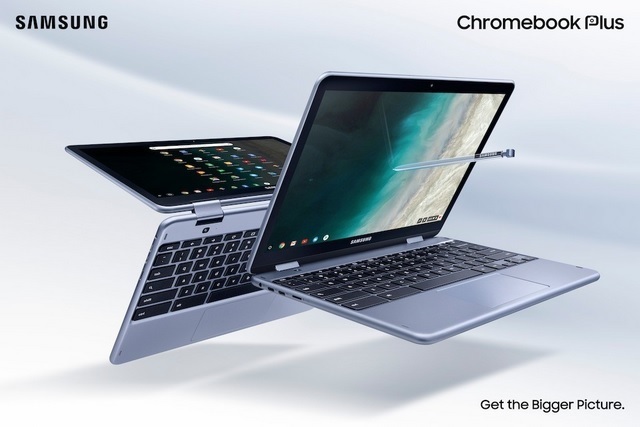 The updated Chromebook Plus also has a richer selection of ports compared to its predecessor and features two USB Type-C ports and one USB 3.0 port alongside a microSD card reader and a 3.5mm headphone jack, while dual-band 802.11ac WiFi and Bluetooth 4.2 handle wireless connectivity. The device comes equipped with a 12.2-inch touch-sensitive display with a resolution of 1920 x 1080 pixels and 16:10 aspect ratio, offering a peak brightness level of 300 nits. The Chromebook Plus V2 features a 1MP webcam and a secondary 13MP (F1.9) autofocus camera placed above the keyboard, which can be used as a rear snapper when the device is being used in tablet mode, or when folded like a tent. The new Samsung offering also features two 1.5W stereo speakers for a superior audio output, however, it is not known whether the device has support for running Linux apps or will get the same in the future akin to its predecessor, which was the first device after the Google Pixelbook to get Linux support. The Chromebook Plus (V2) is priced at $499.99 and will be available at BestBuy.com and Best Buy stores starting June 24, however, details about its wider release are not known.